Medicare - The "Super Duper" Lien: Can Your Plaintiff's Attorney Handle the Liability Insurance Company and the Federal Government at Settlement Time? Medicare – The “Super Duper” Lien: Can Your Plaintiff’s Attorney Handle the Liability Insurance Company and the Federal Government at Settlement Time? Since July 1, 2009, a new Medicare law has made it more difficult for claimants, plaintiffs, and defendants to settle personal injury claims. Now, more than ever, an injured claimant needs to retain an experienced plaintiff attorney who can embrace these new procedures and maneuver through them so that the claimants’ Medicare rights and benefits are protected while getting them the best possible settlement in a timely manner. What, you might ask, does Medicare have to do with a personal injury claim? Let me explain. Medicare is a federal program that pays for a portion of medical expenses and hospitalizations for people who are eligible. Medicare does not pay for long time care or prescription drugs. Medicare may be involved if you have a personal injury claim in a number of ways, even if you are not receiving Medicare benefits yet. If you are a Medicare recipient or an SSD recipient, or may be soon, then be very careful with the type of attorney you hire to represent you in a personal injury claim because the system is in flux and the rules are changing. Recent legislation from a few years ago to the present shows that Medicare’s role has evolved, is evolving, and Medicare’s interest must be addressed in all liability settlements. If your attorney fails to handle this aspect of your claim properly, your settlement could easily take months longer, your share of the settlement funds may not be protected, you may be disqualified from receiving Medicare benefits later, and you may be subject to fines and penalties. Federal law requires that Medicare be the secondary payer whenever another health plan or insurance, as defined under the Medicare Act, also provides coverage for the beneficiary’s services. However, the Medicare regulations state that if prompt payment is not expected from this plan or insurer, then Medicare will pay. In these cases, any payments made by Medicare are considered to be “conditional” and Medicare has a right to seek recovery (reimbursement) from any settlement for what Medicare has paid. The law actually creates a “lien” against the settlement funds that applies to the claimant, the claimant’s attorney, and the insurance carrier.Liability insurance carriers can be held responsible even after they have settled the case, so they want to hold onto settlement checks until they are guaranteed that the plaintiff’s Medicare liens are paid back by the injured claimant and/or their attorneys. Why all the fuss? Medicare has become an increasing large part of the federal budget each year as medical costs keep rising. In the present economic climate, the Congress is looking for every way to cut back on the cost of the Medicare program, and one way is to make sure that Medicare gets back any payments it has made for medical treatment for injuries caused by someone else and for which the injured person will make a recovery. In addition, Congress wants to make sure that if a settlement is for injuries that will require medical treatment in the future, then the cost of that future medical treatment is not shifted onto Medicare. I write this blog for the potential client who needs at the very beginning to be educated about Medicare’s role in your personal injury settlement. In the beginning is critical to avoid any misunderstandings or unexpected consequences resulting from failing to protect Medicare’s interests. The rules of the Medicare compliance games are changing for everyone. Plaintiffs’ attorneys face new and increasingly complex federal regulations to ensure not only that their clients get a good settlement but also that their clients’ Medicare benefits are properly protected. The plaintiffs’ counsel’s role in settlement of cases involving Medicare is evolving. With the new Medicare law and all its settlement-related Medicare issues, a proactive rather than reactive approach is what is needed. As an injured claimant, you need to make sure you have a firm that can handle this process. Have you ever been a Medicare beneficiary? Are you currently receiving Medicare? Have you applied for Medicare or applied for Social Security disability? Are you in the end stage of renal failure? Are you eligible for Medicare benefits within the next 30 months? If the answer to any of these questions is yes, then depending upon whether or not you have health insurance or a health care provider that will treat you for your injuries as a result of the accident will factor into what role Medicare will pay in your personal injury case. The basic goal of the Medicare Extension Act and Social Security Disability Act is to make sure that no party to a settlement is trying to shift to Medicare the responsibility for the payment of medical expenses for the treatment of injuries sustained as of a result of an accident. If you receive a settlement, Medicare law assumes that the settlement includes medical expense and any future expected medical expenses that are or may be covered by Medicare. And Medicare wants its money back. The Social Security Act (Section 1862(b)(2)(A)(ii)) forbids Medicare payment for services to the extent that the payment has been made or can reasonably be expected to be made “promptly” under liability insurance. Any time a settlement, judgment, or award provides funds for future medical services, it can reasonably be expected that those funds are available to pay for future services related to what was claimed and/or released in the settlement, judgment or award. Thus, Medicare should not be billed for future services until those funds are exhausted by payments to providers that would otherwise be covered by Medicare. In 2007, the Medicare, Medicaid and SCHIP Extension Act (hereinafter “Extension Act”) was passed and was enacted in part to protect Medicare when the settlement of a bodily injury claim involves the release of all future claims and the alleged injured individual is either a current Medicare beneficiary or has the potential to be entitled to Medicare beneficiary benefits within 30 months of the date of settlement. This Act requires the insurance carrier for the defendant (released party) to report all such settlements within a time established by the Secretary of Health and Human Services. The Act also requires the insurance carrier to determine if the claimant is (or will, in the next 30 months, be) a Medicare beneficiary. This law is still evolving and those reporting guidelines have not been enacted yet. Due in part to confusion over the law, the deadline to begin making these reports has been postponed several times. If Medicare is not protected as set forth in the Extension Act, Medicare may cease all benefits available to the injured claimant. Under the Extension Act, if Medicare is not protected it can seek reimbursement from past or future payments from the claimant/plaintiff, from the carrier, or from plaintiff’s counsel. Te law states that Medicare’s interests must be taken into account in the settlement. Lastly, if you are a Medicare beneficiary and have submitted conditional payments, you must see that Medicare has been paid the conditional payments for medical and prescription expenses related to the accident. The payment usually comes out of your settlement papers, or your award or judgment. (The Act also allows the insurance carrier to reimburse Medicare directly for those conditional payments in the specified amount or negotiated amount from the proceeds of the settlement. However, under Virginia law, the insurer may be considered a “volunteer” it if makes direct payment and may not be credited for these payments in the settlement, so virtually all insurers are relying on the claimant or claimant’s attorney to make these payments, and are requiring them to do so). If you receive medical or conditional payments from Medicare and you need future medical treatment, then you and your attorney must set aside the costs for that future treatment so that Medicare is not expected to pay for the treatment and drugs from the accident. Calculating the amount for this future “set-aside” can be a complicated process. Even calculating the amount of the reimbursement for medical bills already paid can be lengthy and tedious. First, your attorney has to reconcile the claimed list of payments from Medicare with the bills from treatment for the claim-related injuries, to verify that all the treatment bills that Medicare wants to be reimbursed for are in fact for treatment that is related to the accident. If not, then the attorney has to notify Medicare to remove the unrelated treatment, and send medical records showing it is unrelated to the accident, and then Medicare has to remove the unrelated treatment charges from the conditional payment documentation. After the list of reimbursable charges has been verified, then additional information about the settlement has to be provided to Medicare. Then Medicare calculates what the required reimbursement amount is, and that is the line that must be repaid from the settlement. The Medicare laws and regulations are continuing to evolve, with new laws and regulations being written almost every day. The penalties for failing to adhere to the Medicare laws can be severe. One of the challenges for a personal injury attorney is trying to stay abreast of these changes to protect clients. 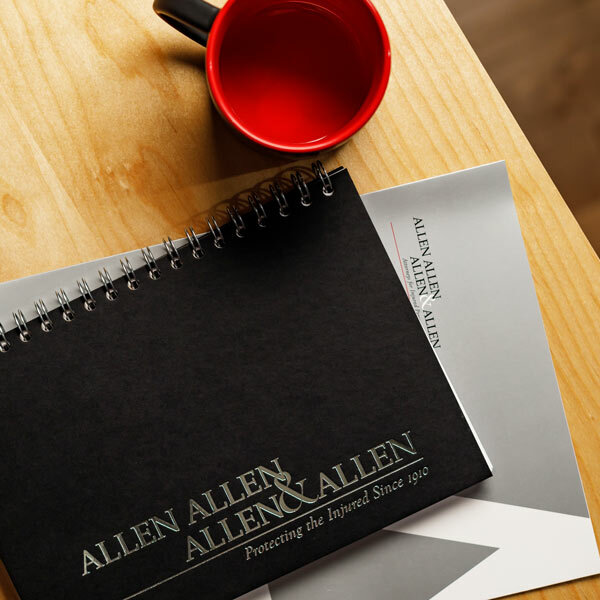 At Allen and Allen, we are work hard to familiarize ourselves with the latest Medicare requirements and are dedicated to achieving the best possible results for our clients. *** Click here to request or download an accident guide to keep in your glove compartment box. For more information, see CMS website. For an overview of the Medicare Secondary Payer Recovery process, see http://www.cms.gov/MSPRecovClaimPro/. The most recent postponement was to July 11, 2011. See http://www.cms.gov/MandatoryInsRep/Downloads/RevImplemnetationDDDNGHP.pdf.